Title, date and “McElroy” signature on recto, below image which is attached to the original 30 x 16 inch cardboard mount with a pencil scored outline. The bridge pictured is Burnside Bridge in Portland, OR. 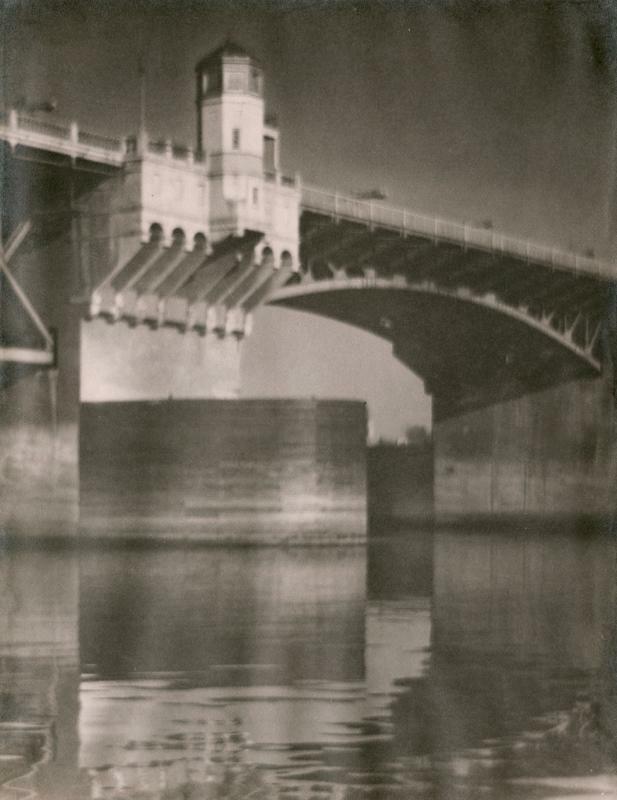 H. L. McElroy was a Portland, OR photographer who participated in the Pacific International Salon of Photographic Art held at the Portland Art Museum in September, 1929. Very good; some silvering at edges. Items Similar To "Watch Tower"